A PKP Cargo diesel locomotive pictured in Węglińcu. Credit: Masur/ Wikimedia. Polish State Railways (PKP) Cargo has signed an historic contract with Arcelor Mittal Group. 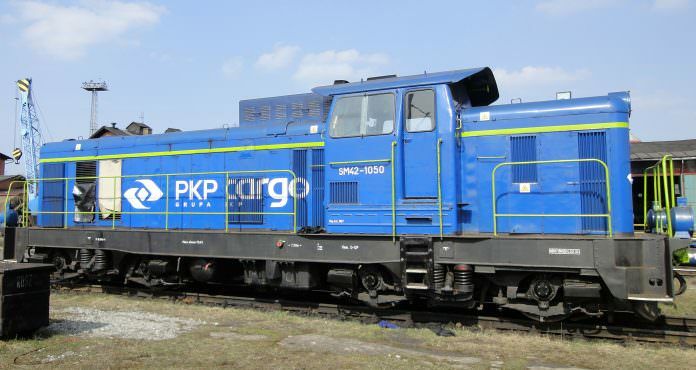 The 1.3 billion zl (roughly €306 million) deal will see PKP Cargo continue to transport coal, coke, iron ore, stone and metals for the largest producer of steel in the world over the next three years. PKP Cargo said that the contract is one of the largest in its history. The ArcelorMittal Group is also the largest steel producer in Poland, with five steel mills located in: Krakow, Dabrowa, Sosnowiec, Świętochłowice and Zdzieszowice. In total it operates in 27 countries across Europe, Asia, Africa and North America. President of PKP CARGO Maciej Libiszewski said (translated from Polish): “Signing the contract today is a historic success for PKP Cargo. “Its implementation is a challenge that requires a lot of experience and proper preparation of the carrier. As one of the few on the market we have both trained and highly qualified staff to implement the contract.